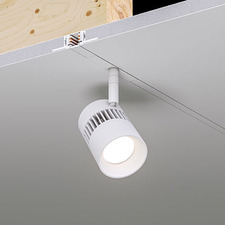 The evolution of track lighting, TruTrack by PureEdge Lighting is a recessed track lighting system that plasters into the ceiling, providing a clean, seamless look. No more dangling track bars or hanging wires, TruTrack creates a minimalist aesthetic with only the track head visible. 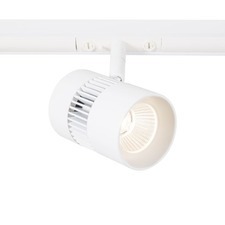 Perfect for contemporary homes, urban open offices and shared workspaces, high end retail and small rooms where space is a premium, TruTrack recessed track lighting keeps the ceiling clean and unadorned. 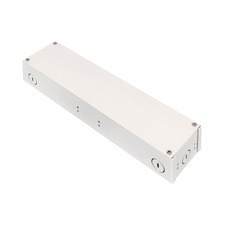 Adjust your track heads, move the light beams with ease and highlight artwork, walls, furniture or sculptures without adding focus to a protruding track rail. Track lighting will never be the same.